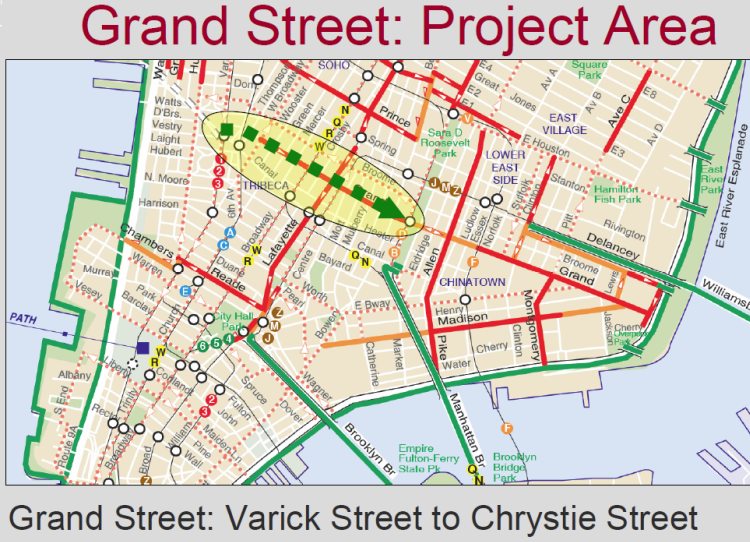 Streets Blog has confirmed that the existing Grand Street bike lane between Varick and Chrystie is being replaced with a protected bicycle path. The bike path will be located on the far right of the street separated from traffic by a 3 foot curb and is the first cross town bike route separated from traffic. More info in the DOT proposal (PDF).